In each of my designs I printed a copy, whether it was to look at structure, content or colour. I found this a useful process as it allowed me to look at different factors that may not be so evident when looking at a screen. 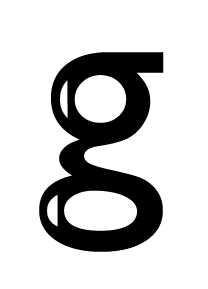 I found this particularly useful when looking at sizing, in terms of font weights and how certain elements fitted onto the page. Also I was able to make notes and annotations on my mock ups to show me what I needed to improve or change. It also helped me think about how the book would work as a physical item. Therefore I decided that the best option was to print on there paper (which I knew would be suitable) and change the background of each spread to a cream colour. I found this the easiest and simplest solution, particularly with the time constraints. If I was taking the project further I would probably test more paper to see what would work. 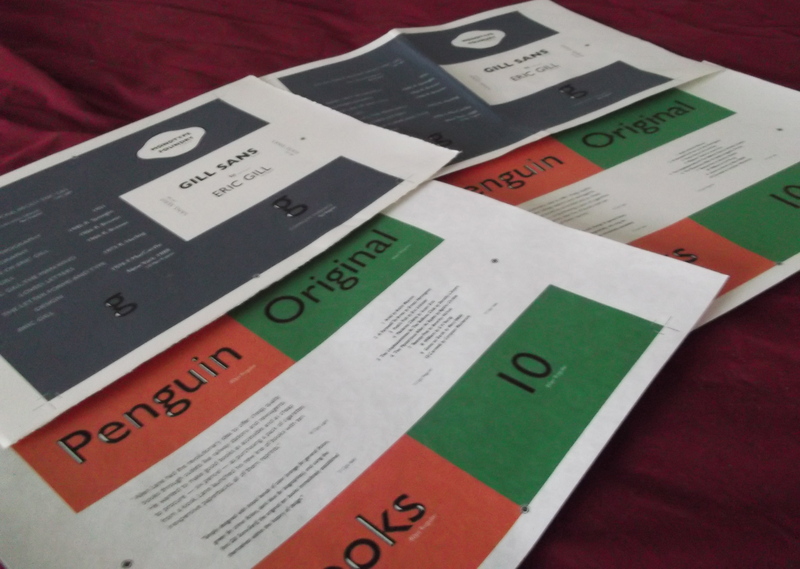 After printing my fourth version, I wasn’t happy with how all the pages flowed, I therefore decided to move the penguin spreads to the back, to make the chapter pages slightly more central. I also realised that the colour, for the background, on my previous versions wasn’t quite right, as it was more purple than blue. On the second spread I decided to right align the text on page 4 as the fully justified version was a bit too spaced out. I also took out the page numbering because it wasn’t fitting in with the design. I realised that I have an odd number of spreads, and when I printed I found that I couldn’t bind it properly. I therefore decide to add another spread, in which I wanted to produce extra pages about penguin. In my previous research I found out that the original penguin covers have extended beyond just books. In recent years they’ve been used in designs of, deckchairs, mugs, and bags. However I didn’t want to use any photos within my book, so I decided to explore other ways of displaying these items. I started making illustrative icons out of the typeface, to represent these three items, in which I thought they fitted in well with the design of the book. 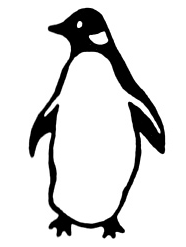 I also incorporated the penguin logo, as I thought it was quite an important element of the brand. I have also added a slight cream background to show how I want the book to look as a finished piece. In developing my ideas I wanted to focus on the detail of the spreads; I also wanted to finalise content and make sure that the flow of the book would work. I wanted to create some consistency, while also making sure that each page and spread had an individual feel. In these designs I am still focusing on the covers, as this is a prominent part of my concept. 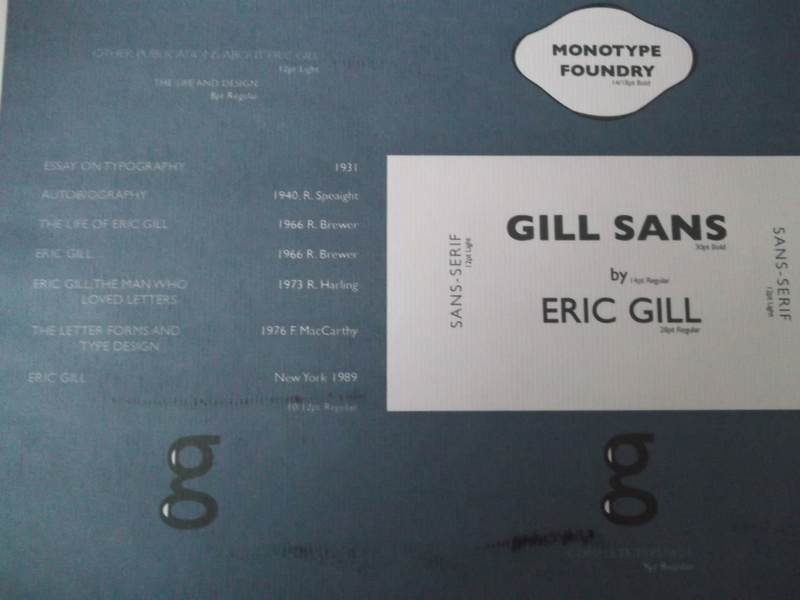 One of the requirements for the book was to re-design the typeface to reflect on my concept. I decided to base my designs on the original penguin logo, in which I created blocks of white as a relief in the black letters, in order to emulate the effect on the logo. I thought it would be apt to reproduce the title; ‘Penguin Books’ as I think it will fit in well on the pages dedicated to Penguin itself. I think it came out well, particularly as I think it has a strong concept behind, which gave me clear direction of what I wanted to do with it. 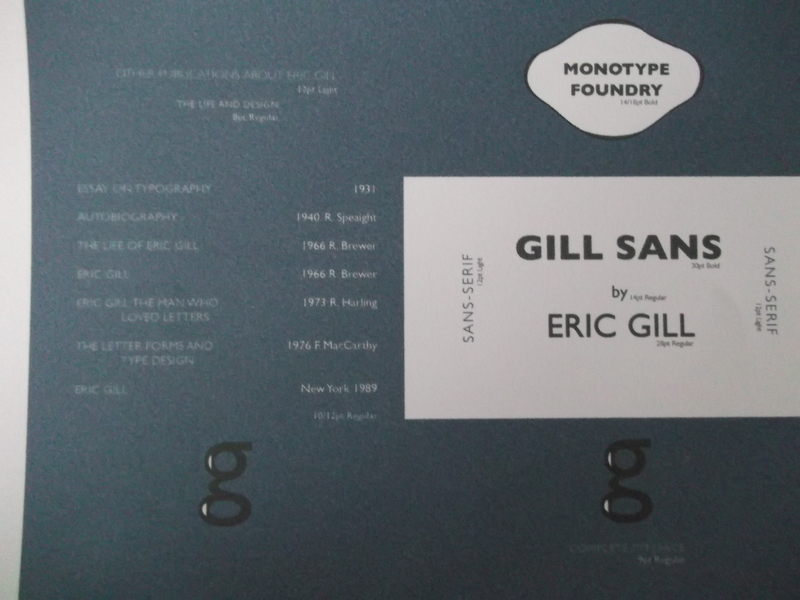 In beginning this project I have produced some rough first drafts of the type specimen book. 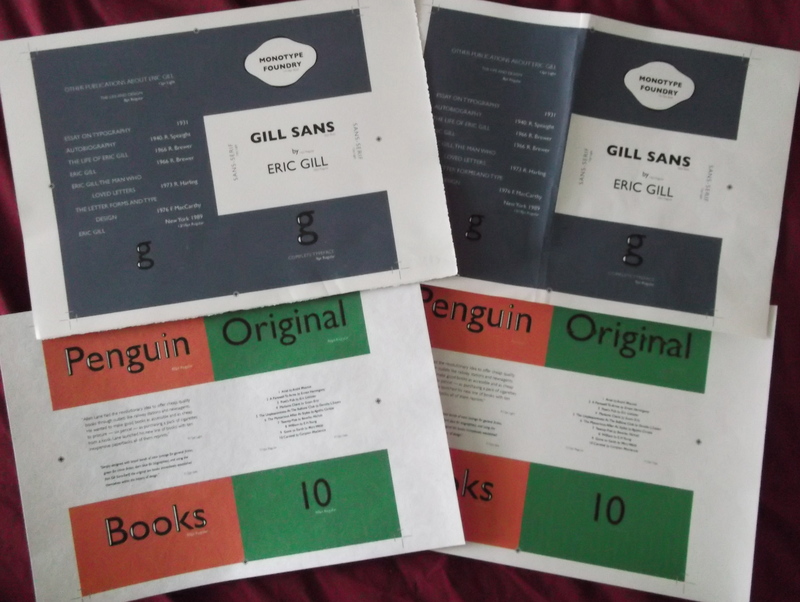 I have focused primarily on the covers in these designs, in which I have measured out elements and spacing according to those displayed on the original Penguin books, as well as margins within the books.